Staring at a computer screen for hours each day inevitably takes a toll on your eyesight. In addition, many screens are larger than ever before, so while photos and video can be larger, text often appears smaller. Instead of upping the prescription for your glasses or resorting to squinting, one way to ease the strain is to make the font on your PC's screen bigger. It seems like a relatively easy task, but unfortunately, how you go about changing the font often depends on the operating system you use. If your computer uses Windows, simply click on the "Start" icon at the screen's bottom left, and type "font size" into the search bar. Click "enter" and a new display screen will pop up. The default size is 100 percent, but you can adjust the size to 125 or 150 percent, as well. After you select your desired font size, the system will prompt you to log off, so that it can reload with the new format. To make sure your work remains up-to-date after it logs off, be sure to save any unfinished programs before clicking "Apply Now." If you are still having trouble reading a particular web page or program, you can also select the "Magnifier" tool under the "Start" icon, which will allow you to zoom in or out, but automatically moves the view up to 200 percent. However, if "Magnifier" still isn't helping, and the screen continues to look blurry, it just might be that the tubes in your monitor are loosening. 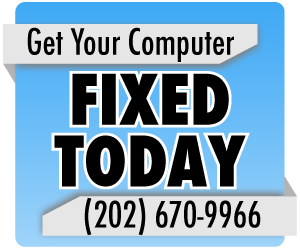 If you suspect that your computer has this problem, consider bringing it to a local Maryland computer repair service center for a tune up or another computer repair treatment – unless, of course, you really are overdue for that eye exam. Why is my computer constantly rebooting? Hi Go to your desktop, right click and select Properties. Display Properties window will open. Select Appearance tab. In the Font size drop down select Large Fonts and click Apply.